What's the weather forecast for Sugarloaf this week? Check out the long-range weather forecast for Sugarloaf, including temperature, predicted snowfall and wind details at the summit and base throughout the day for the next week. Tab over to overview or Hour by Hour for alternative views of the Sugarloaf weather forecast. Get Snow Reports, Powder Alerts & Powder Forecasts from Sugarloaf straight to your inbox! Phenomal conditions all week! 6 inches of new powder Sunday and Monday on top of deep base. Tree skiing was great in all glades and in Bracket. Tons of snow on the backside so make the hike. Fog and some rain on Friday but we left this AM so can't update ya there. Should be fun as temps drop tonight. Go for it!!! 3/8 and 3/9 were awesome conditions, lifts all closed on 3/10’due to high winds. Conditions were great! There sat & sun. Despite not much recent snow bumps on Rip Saw at top were really good. groomed runs get skied off fast, but sun’s new snow should help. Epic day at the loaf...conditions are excellent! Some runs hard pack and ice others are soft. Woods are a mixed bag. Upcoming storm should set it up perfectly. Since 12/28/18 the mountain is unfortunately a solid block of ice. They are trying to do their best to keep it skiable, but still some trails, like Timberline, are very icy. According to the forcast, it is snowing, raining and very windy today, so we will see how that goes. 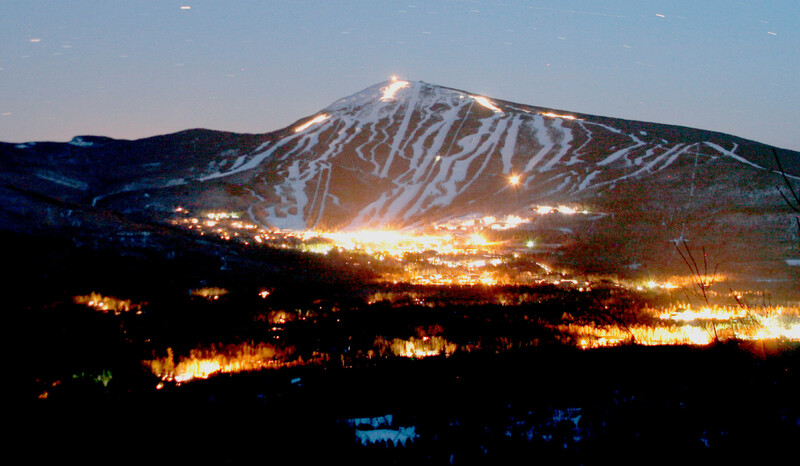 Nonetheless, it is still great, because it is SUGARLOAF, one of the best skiable mountains on the east coast! Tons of fun! Happy New Year to everyone! some runs vary icy. others still some good snow. aimed chairs shut down due to wind, but not as bad as yesterday. Wet and windy today. High up chairs all closed due to win late morning. Did laps on the t-bar. About 2:30, lifts opened back up. Epic opening day. 28 inches of snow in 7 days. About 7-8” of snow Friday night made a good am Saturday. One lap over by Wifil tree. A day of refill! The slopes are in awesome condition. Fresh powder, top to bottom. The glades are calling! Soft deep bumps everywhere with a few groomers in between. Sugarloaf in all it's glory.